Get business solutions up and running according to your requirements. Help from our team of professionals is available ten hours a day, six days a week. Pay one flat fee for professional setup, a year’s subscription, and unlimited support. Rest assured that the software for your solutions will always be the latest version. Attend workshops to learn how to fully utilize your apps. An Internet connection is all you need to be able to manage your accounts and apps. Select and purchase your PASS package via your monthly Singtel bill or credit card. Submit your business requirements and our professionals will work on it. 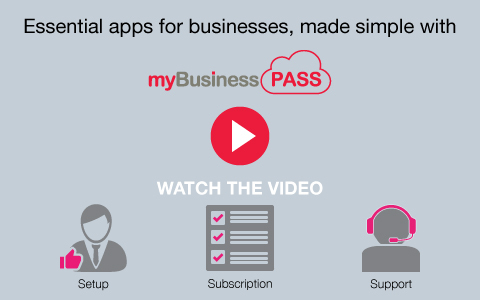 Once your solution is up and running, you can make changes through myBusiness anytime. Need other solutions? Contact us and we'll get back to you. Need other solutions? Contact us and we’ll get back to you.